Instructors & Dive masters Friendly and professional team offers International PADI certification courses - from beginners level of Scuba Diver up to the professional level of Divemaster. 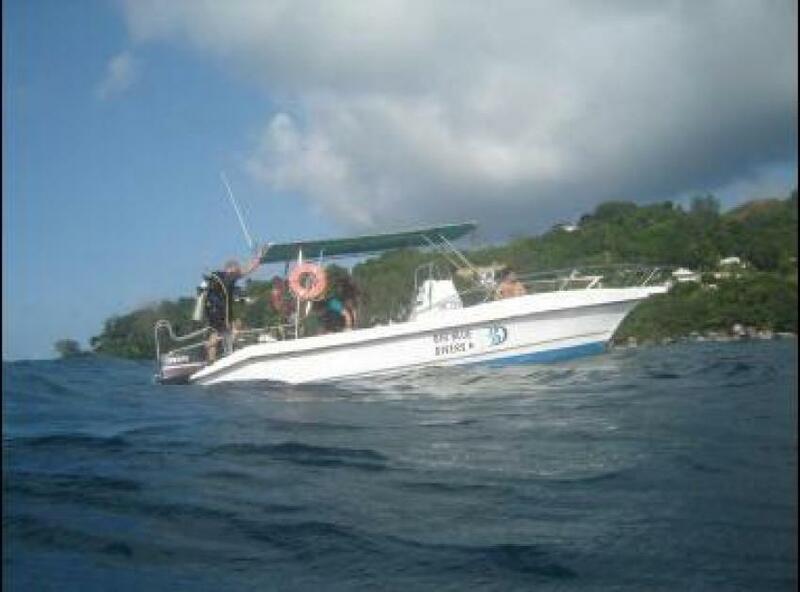 The amount...Continue reading ensures that dive center always has full tanks available for the next scheduled dive. BAUER Mini Verticus ensures pure air for you to enjoy your dives. For children we also have suitable equipment in small sizes, long wetsuits, shortys and 4 x 7l aluminium tanks. 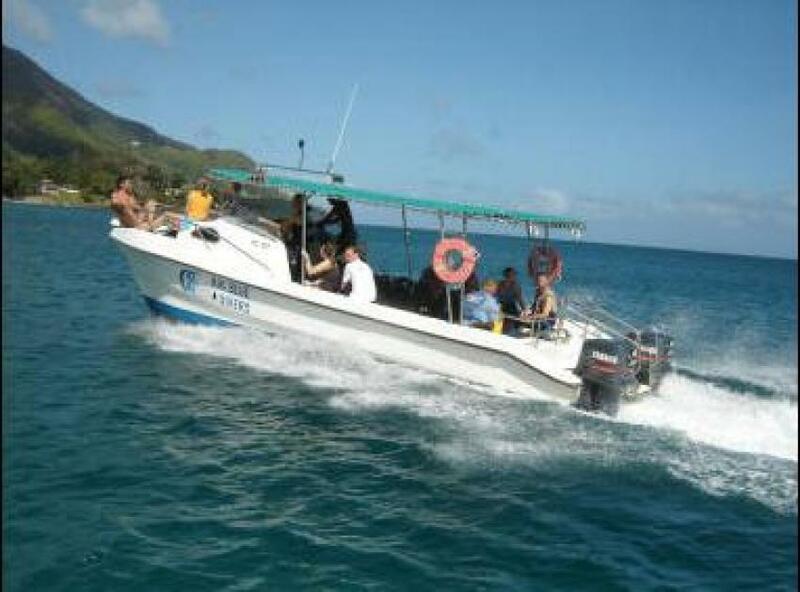 This boat is designed to take you to the more remote dive sites even beyond La Digue on our popular...Continue reading day trips. Blue Magic is currently undergoing renovation works. Read before you go Pre-paid-bookings should be made by eMail to dive center and paid via wire transfer onto dive center's account. Dive center will supply you with an invoice and payment information. Upon receipt of payment you will be issued a voucher and receipt. The voucher is to be handed over by the diver upon arrival at dive center. Please book only diving packages in practical sizes. Vouchers or parts thereof, which are not used by the diver, will only be refunded due to medical reas...Continue readingons confirmed by a doctor or the inability of our company to deliver the service purchased by the diver or due to reasons of force majeure (weather, sea conditions, natural disasters, etc ...).